Each individual probably has his or her own creatine requirement. Those who regularly train but don’t eat much meat probably need more creatine than those who train less but eat more meat. Supplementation with creatine monohydrate increases creatine levels in the body. The use of moderate amounts of creatine has proven benefits. 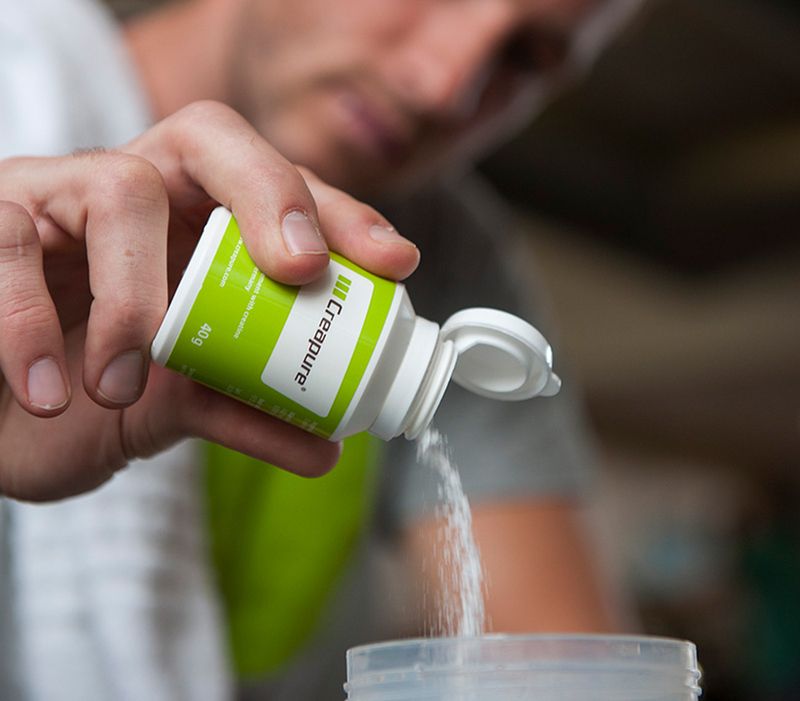 We therefore recommend taking three to five grams of pure creatine monohydrate daily. Can I take more creatine? Regular supplementation with creatine causes creatine levels in tissues to reach a threshold that will not be exceeded. However, each day, a certain portion of the creatine pool is also converted into the biodegradable product creatinine and then excreted. This is a completely natural process. This is the part that needs to be replenished – either through the body’s own biosynthesis, consumption of food and/or nutritional supplementation. If more creatine is taken than the body actively requires, the surplus will be excreted in the urine. Therefore, it does not make sense to take unnecessarily high doses of creatine over a longer period. Does creatine loading make sense? Some internet articles suggest taking higher doses than the daily recommended amount of three to five grams of creatine. They recommend starting with a higher dosage and reducing it after a few days. However, high-doses and creatine loading strategies are unnecessary. Studies show that after three to four weeks of taking three to five grams of creatine daily, the body’s creatine level is just as high as when higher doses are taken at the beginning. While the daily intake of three to five grams of creatine is considered safe, a comparable safety assessment is not available for higher dosages or for creatine loading.